5th February, 2019 will mark the beginning of the Chinese New Year. This will be the Year of Pig and occasion to celebrate with your family and friends. 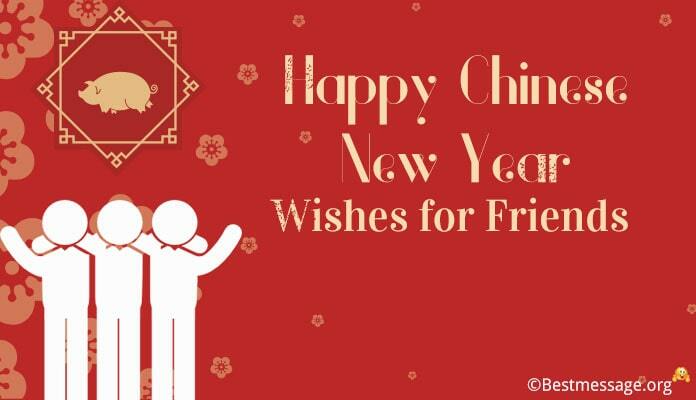 Surprise your pals with best of Chinese New Year wishes for friends. Share these funny Chinese New Year greetings with them to share a laugh with them. We bring a collection lovely Happy Chinese New Year messages for friends. These Chinese New Year messages in English are worth sharing on Facebook, WhatsApp.